Attention! Read all the instructions before attaching the ProClip. 1. 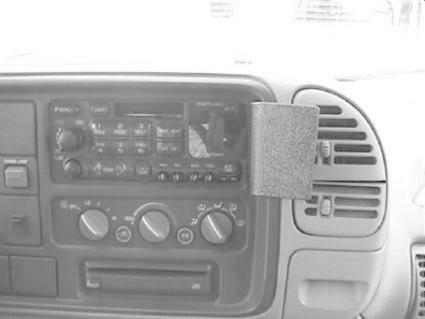 Push the left side of the air vents all the way in. Hook the grooved edge on the right side of the ProClip over the panel frame edge, on the left side, in the air vent. 2. 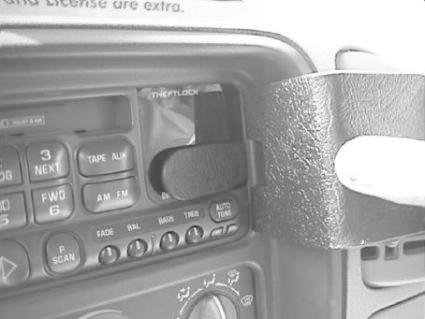 Press forward on the left side of the ProClip so the angled edge snaps into the gap between the stereo and the surrounding panel frame. Adjust the air vent. 3. 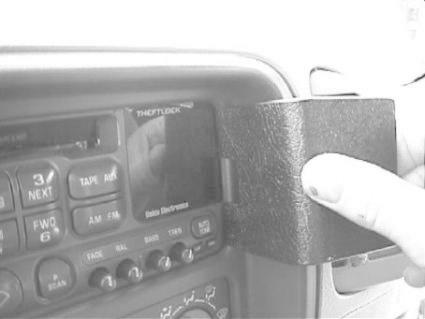 Note: If the gap between the stereo and the surrounding panel frame is very tight, press the thin end of the enclosed gap opener into the gap to widen it. 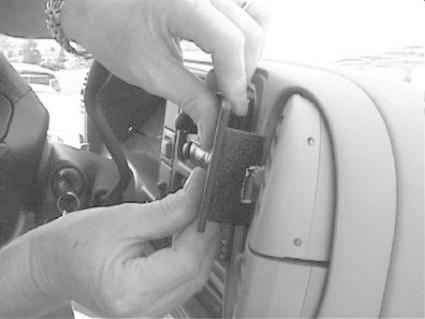 Then press the ProClip into place and pull out the gap opener.